Jonathan Hourigan is a London-based writer-director, and a friend of the late Robert Bresson. He is also a long-time collaborator with robert-bresson.com. Colin Burnett has a Master's in Film Studies from Concordia University, Montreal, and has recently published on Bresson in Offscreen. The following interview, which was conducted by email in September of 2004, is co-published with Offscreen. No admirer of the films of Robert Bresson could possibly pass up the opportunity to correspond with another who's actually worked with the director. And yet, such enthusiasm — to which this interviewer inevitably succumbed — is a double-edged sword, particularly when dealing with this director. After all, what exactly does one hope to learn from such an exchange? Why does one interview a contributor/eye witness at all? Is it really safe to assume, as many of us do, that the value of such an account can be measured by the degree of insight it brings to the films themselves? Can the insights into aspects that cannot be learned from the films on their own be used authoritatively to 'read into' them? 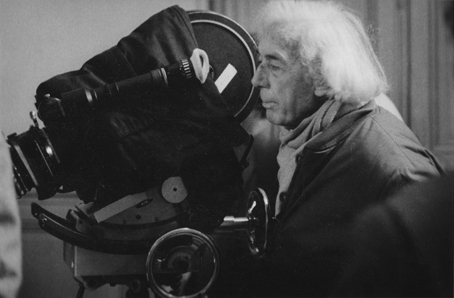 The desire to know more about who Bresson was as a film director — his methods, the way he worked with collaborators, the motions of choice and discard that went into the production itself — is, at its most admirable, fueled only by curiosity. So far, clear sailing. The problem arises when interviews of this kind become attempts to lift the veil behind which artistic intention hides, to expose what was really meant by the film and its techniques. Here's where the ice gets dangerously thin with regards to Bresson. Jonathan Hourigan's responses in the following interview register with a level of discipline in such matters that I can only assume that Bresson would himself have condoned (and which he tended to exercise in the interviews he gave) and that the films themselves call for. In what they say and what they don't say, these responses encourage an ambitious degree of caution when tackling this body of work. Thereafter, I regularly accompanied Bresson to the studios where editing and work on the soundtrack continued for several months, prior to the film's première at the Cannes Film Festival in spring, 1983. To ignore narrative/script would be to ignore one of the major achievements of L'Argent, that is, its extraordinary breadth and depth, all accomplished within a mere, breathless 85 minutes of focus and concentration. Certainly narrative breadth and depth would be one of the 'experimental' elements of L'Argent. Only Lancelot du Lac compares in this regard, although La Gènese would also have done so. It is worth noting that Bresson kept very close to the script of L'Argent, whilst constantly searching for new, surprising and expressive possibilities as and when they emerged. In conclusion, on 4th August I wrote in my diary, "In the afternoon, R summoned me outside and we spoke... He said that his first films were easy: "I just did them. Like that," with a dismissive gesture. Now he finds it harder to translate what is in his head onto the screen. "The more you know and the more you work, the harder it gets." But he said he still hoped to make La Gènese and to do so with the same freedom of his earlier films." If transcendence and grace seem less present in the lives of Charles in Le Diable, probablement or Yvon in L'Argent than in the lives of le curé, le condamné, the pickpocket, or Balthazar, Bresson's abundant pity, tenderness and even anger in the face of an increasingly brutal and brutalising world are no less evident. Kent Jones perceptively writes "Does Bresson suspend the possibility of redemption for Yvon? Not exactly. But by shifting the focus from his hero to the forces that overpower him, the difficulty of attaining redemption is given more of a place than redemption itself." That sounds ominously like clear-sighted lucidity to me in the modern era. Le Diable, probablement and L'Argent are not, therefore, films of passive acceptance in the face of faithlessness and pessimism. It is clear that, for the majority of those who identified pessimism in Bresson's later films, this implied decline and diminution. Bresson would have been somewhat unconcerned at commentators' interpretation of his films and the identification of pessimism but equally, he would have bristled at the facile and superficial accusation of decline or diminution. Terrence Rafferty's recent article, for example, separates "the first, and better, half of his career" from those films where "faith seems gone for good, and Bresson by this time has renounced even the small pleasures of dissolves and fades: he now uses only straight cuts, as blunt and brutal as someone walking away in the middle of a conversation." Of course, Rafferty's article does not place the entire evidential burden on the elimination of dissolves and fades but its strictures contrast powerfully with Kent Jones's analysis. Jones writes that Bresson "and no one else has made the intensity of perception a central component of the cinematic experience" and that "L'Argent is a film whose every instant feels so utterly alive." These are not the negligible achievements of a diminished, superannuated pessimist. They are, rather, the achievements of a master, continually striving and exploring. And creating, with penetrating lucidity. You're way ahead of me and I think, perhaps, even Bresson too. Is it demonstrably true to say that L'Argent reveals such an apparent 'fascination', compared with similar films? The relevant comparisons would, I suppose, be the other, later, 'Paris films', such as Une femme douce, Quatre nuits d'un rêveur and Le Diable, probablement. Production designer Pierre Charbonnier worked on all of Bresson's films from Journal d'un curé de campagne (1951) to Lancelot du Lac (1974) (save Mouchette (1967)), yet little has been written of his impact on Bresson's films. L'Argent itself was designed by Pierre Guffroy, who did Mouchette. How closely did Bresson work with his production designer? First, on 12th August, "Another very hot day, Banque de la Cité, Avenue Matignon. Late afternoon, I had a drink on my own with R. Neither of us had any money and so we shared a Perrier water... At one point today, someone asked me if R was René Clair. I told R this as we had our drink and he was amused. He asked if the man's name was Abel Gance, who recently died aged 90-something." At one point, it seemed that La Gènese would be made before L'Argent. It was also possible that La Gènese would be made in a language other than French. These circumstances meant that I had already been invited to return for La Gènese.